The first impression for many properties begins with the appearance and condition of the surrounding concrete or asphalt pavements. A well-maintained pavement can set a positive tone before one sets foot into a building, while a neglected pavement can unfortunately have the opposite effect. Implementing an effective pavement maintenance and repair strategy is the key to avoiding the latter. FEA can help clients understand the condition of their pavements before undertaking a capital investment by performing an assessment. The assessment can be used to recommend repairs that are prioritized or phased as appropriate. Knowing the difference between minor pavement cracking and total pavement failure can mean years of difference in performance, as well as tens of thousands of dollars in maintenance and repair costs. FEA also has the capability to help clients accomplish pavement repairs through development of construction documents and contract administration services during the project. 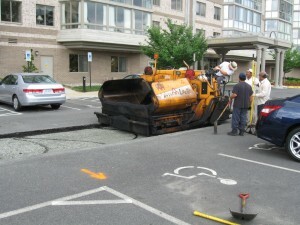 Due to the nature of pavement repairs, some project aspects can move quickly and only the top surface of the repairs are visible at the conclusion. FEA can observe repairs as they are being implemented, comparing layer thickness and compaction to the specifications. Our expertise in pavement maintenance and repair stems from projects for homeowners associations, commercial properties, and state and local governments. These projects have ranged in size from small access roadways and parking areas to hundreds of thousands of square feet of pavement. 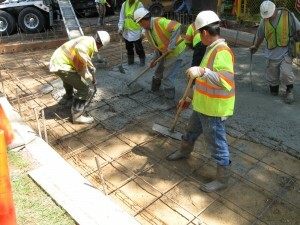 While pavement projects can vary widely in size and scope, FEA has the capability and experience to help execute an effective pavement maintenance and repair strategy.